Vitabsorb is a natural blend of vitamins and minerals that are essential for the body of a dog. Vitabsorb will promote a healthy lifestyle and lead to a long life. This blend supplies the body with a wide variety of trace elements, minerals, and vitamins for pets. Having these essential vitamins and minerals helps to regulate body processes, break down nutrients, assure proper digestion, reproduction, bone, and muscle growth as well as helps to maintain a healthy fur coat. Overall, this blend of plants will provide your pet with vitamins such as vitamin A, C, and minerals such as calcium and potassium. 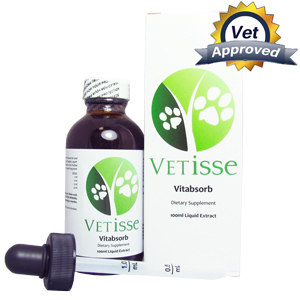 Give Vitabsorb to your pet only once a day and refer to the weight of your pet in order to determine the dosage. 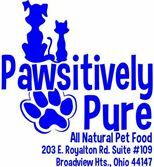 If your pet is between 0 to 25lbs the dose is 1ml. If your pet is between 26 to 50lbs the dose is 2ml. If your pet is between 51 to 75lbs the dose is 3ml. If your pet is over 76lbs the dose is 4ml. Calcium, Chromium, Folic Acid, Magnesium, Manganese, Molybdenum, Pantothenic Acid, Phosphorus, Potassium, Selenium, Vitamin A, Vitamin B1, Vitamin B12, Vitamin B2, Vitamin B3, Vitamin B6, Vitamin C, Vitamin D3, Vitamin E, Zinc.